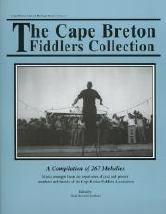 The Cape Breton Highland Collection (2015) - 228 pipe tunes arranged for fiddlers. Many feel that it is essential to have a diverse repertoire of pipe tunes in order to develop a traditional Cape Breton sound. 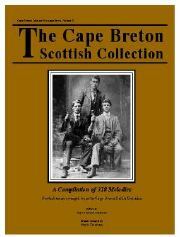 The music contained in this book represents many of the classics of Scottish piping as interpreted within the Cape Breton fiddle tradition. 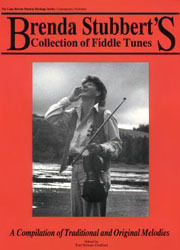 The Cape Breton Fiddlers Collection (2nd edition 2010) complements the other tunebooks in the series. 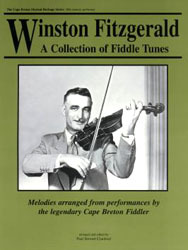 In addition to old favourites from both the aural and written traditions, the book also includes tunes from the repertoires of members and friends of The Cape Breton Fiddlers Association. Now into its 5th edition (with chords added by Jerry himself), this book is ever-popular amongst Irish, Scottish and Cape Breton musicians. Brenda's 1st five CDs all contain tunes found in the book. 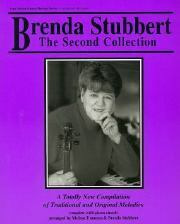 Brenda's tunes have been recorded by most Cape Breton fiddlers including both Buddy & Natalie MacMaster. 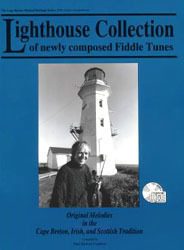 The Lighthouse Collection (1996-2010 - 2 editions), For 34 years fiddler Paul Cranford worked on remote islands as a lighthouse keeper. 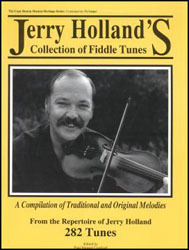 This book contains over 250 of his own tunes (composed from 1979-1996) plus 40 compositions from his friends. Winston Fitzgerald Collection (1997-2005: 2 - editions). Winston was without doubt Cape Breton's most influential recording artist. This book focuses on his interpretations of older music. His style has influenced all of the current geneation. 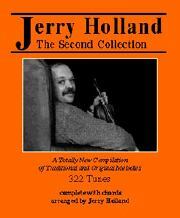 A fresh compilation of 322 new and traditional tunes arranged by Jerry complete with his carefully chosen chords for accompaniment.